As part of Team #DIEMSTRONG, it’s our goal to spread Diem’s message in helping others and inspiring everyone to live life for that day and to the fullest. Please help promote her legacy and spread the word about the causes Diem was so passionate about. Diem’s sister, Megan, partner at MedGift said it best: To pay tribute to Diem is to live your life like Diem, so “Live Hard. Love Hard. Dance Hard.” To be #DIEMSTRONG is to love life, always have hope, and fight for what you want no matter how difficult a challenge you face. 100% of every dollar you give goes directly to pioneering research led by Memorial Sloan Kettering Cancer Center (MSK). PATIENTS DON’T HAVE ENOUGH TREATMENT OPTIONS. For many rare cancer patients, there is no game plan or treatment protocol—and that’s a very scary thing. Cycle for Survival is committed to changing this reality through funding new clinical trials, studies, and research initiatives to propel forward progress. In its first ten years, Cycle for Survival has already raised more than $100 million—and we will not stop until we beat rare cancers. To support Team #DiemStrong visit #DIEMSTRONG LA today! From Heather’s story by Lindsey Sells. Thanks to Lindsey Sells for her willingness to get involved and help a friend in a need. Visit Heather’s Heroes to learn more about Heather’s courageous fight! Hi…I am trying to add www.medgift.com/Daniels-Dream-Team to my work “giving page” so that employees can donate and our company will match . However I am in need of your EIN number in order to do this . How can I get that? Thanks so much! 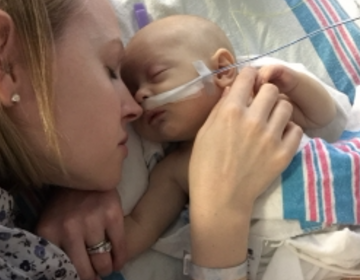 After directing her to her MedGift receipt which she received after making a donation for our EIN it occurred to me, Daniel’s supporter had come up with a great idea to take advantage of her employer’s matching funds program in support of a worth-while cause. 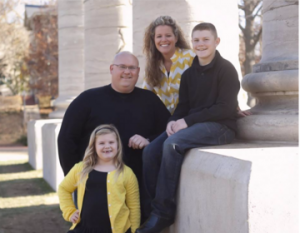 By adding Daniel’s MedGift support page to her employer’s giving page she made Daniel’s needs known to her co-workers which is certainly a win for Daniel., by creatively supporting Daniel’s needs she certainly creates a win for herself. After all, what feels better than helping. 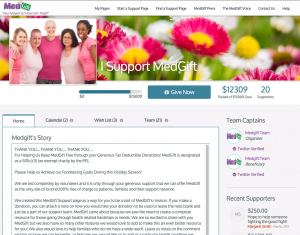 And finally, by adding MedGift, a 501(c)(3) organization to the giving page, any contributions made by her co-workers to MedGift, are not only tax deductible but will be matched by her organization. Hey, maybe thats a win-win-win-win, but no worries, its good all the way round. Cheers! Visit I Support MedGift to make your tax deductible gift today!